You love cozy glow in the winter season? Then you should not miss a ride on our sparkling glitter ship. Whether it's a relaxing evening in the run-up to Christmas, a family reunion or a Christmas party - you can escape the hectic everyday life on our journey with the sparkling ship. Starting from Nikolaiviertel at 5 pm discover Berlin in winter from a different perspective. 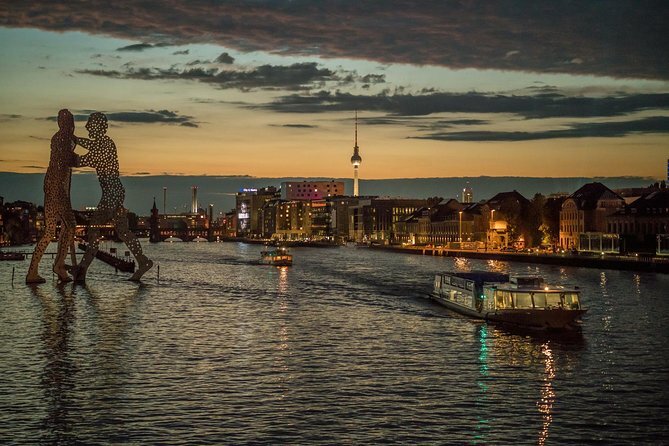 On our 2-hour city tour you can see most of the highlights in the evening lighting: Mühlendammschleuse, Nikolaiviertel, Berlin Cathedral, Museum Island, Reichstag, Chancellery, House of World Cultures, Spreekreuz. The tour ends after two hours again at the Nikolaiviertel.